Last night we decided to take our oldest three girls to see Miss Peregrines's Home for Peculiar Children. The plan was to meet up with the rest of the family at the theatre and attend the 7:45 pm showing. I arrived a few minutes early and was listening to our popular local news channel, 92.3 KTAR. Most of the time KTAR plays news and discusses politics, but this hour from 7:00 - 8:00 pm was dedicated to the Dave Ramsey Show. In case you are unfamiliar, Ramsey's show is broadcasted nationally, and he is one of the most well known financial advisors in America. I've found myself listening to Dave with awe as he astutely walks his callers through debt elimination and investment advice. My in-laws and mother all have Ramsey's books. In fact, his latest book is the center piece on my Mother-in-Law's coffee table. In their house, Dave has replaced the old EF Hutton motto, "When Dave Ramsey speaks, people listen." The first caller told Dave she had inherited $1.6 million. She told him about how her mother suggested she meet with their financial advisor, who told her to invest half of the money into an annuity. I have heard Dave preach numerous times about the virtue of buying Term Insurance and investing the difference in mutual funds versus buying Whole or Universal Life, but I had never heard his take on annuities. Right off the bat, Dave said "What a shame that he put you into an annuity. Those things are awful, full of fees, you can't take the money out and they don't pay squat!" The caller told Dave she had $800,000 in the annuity and it was paying $38,000 per year for the rest of her life. "Now you could have put that money into a good mutual fund and I could get you $60,000 to $80,000 no problem and not touch your principal. That's the key you don't want to touch the principal. You don't want to kill the golden goose and we can do that. Keep it simple in large cap growth and value funds with a good history, maybe a splash of some international. Get you $60,000 to $80,000 and we won't have to kill the goose." Then he proceeded to tell her to not listen to other peoples' advice, fire the advisor who recommended the annuity and "shame on him." I should also add that the caller was on disability and that this money along with disability was her sole source of income. She needs the income that the $800,000 was producing. Dave finished the call by telling her to take the remaining $800,000 and pay off her mortgage and then put the rest in large cap mutual funds as well. Working with numbers all day, I quickly computed that $60,000 on $800,000 is 7.5%. Dave told her she should be able to take 7.5% from some good mutual funds and not have to worry about touching the principal. I read at least a half dozen financial newsletters a week, and it's pretty common knowledge that these days, taking 4% income is pushing the envelope, and that's assuming you are drawing down the principal. The caller's annuity was paying $38,000 guaranteed for life from the $800,000 which is 4.75%. That's actually a fair rate in today's environment, but of course nothing near Ramsey's 7.5%. I laid awake last night and this morning questioning myself and my career these past 20 years, making hundreds of recommendations to invest in annuities. In 2000, with my shiny Series 7 license in hand, I put my family and close friends into the best mutual funds available at that time. All gung ho with the 1990's in my rearview, I was eagerly optimistic with the potential wealth I would be making for my clients. And then, as you know, the tech wreck hit with a vengeance. Family members' $500,000 tanked to $300,000 seemingly overnight...on my watch! Fortunately, I had been putting most of our clients' safe money into Indexed Annuities. Dad was on the board of directors to help in the creation of one of the very first Indexed Annuities back in 1995. We were lucky to have latched onto the idea. All of our clients who put money into the Indexed Annuities didn't lose a single penny from 2000 - 2003. 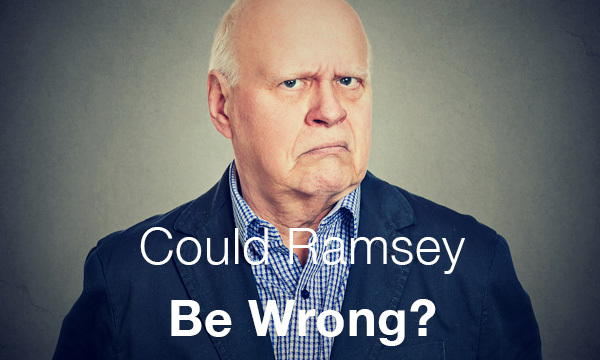 But then there's Ramsey, my financial planning hero, the guru, telling America that Annuities are a sucker's bet and full of fees. You can't touch them and are nothing but a means to fill the pocket book of some crooked, self serving advisor. I know I'm not crooked, and I've always recommended investments that I truly felt were in my client's best interest, but have I unwittingly been wrong all this time? So far, in my twenty year career I haven't had one complaint on my Indexed Annuity recommendations. I know in some years we have made over 20%. In the tough recession years, our clients were grateful not to experience any losses. But maybe Ramsey is right. How could I question this nationally syndicated authority whose book my Mother-in-Law has marked up more than her scriptures? If you've listened to Ramsey at any length you'll hear him tell the callers to "Do the Math." So this morning I did just that and started firing up Microsoft Excel, my GoFigureNow historical data software, Morningstar and Yahoo. Finance data feeds. 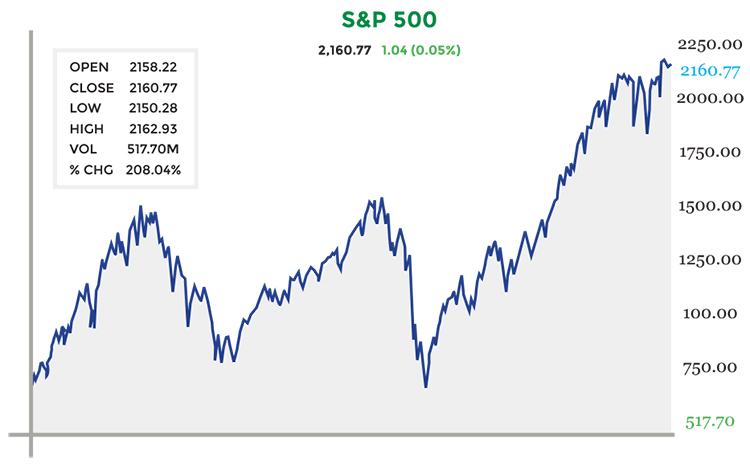 Rather than focus on one particular mutual fund I chose the S&P 500 Index itself, which I think is an excellent representative of historical returns to Dave's Large Cap Mutual Funds. To prove it, here is chart from Morningstar comparing one of the country's top Growth Funds - American Funds Growth Fund of America. As you can see, they are almost identically correlated. 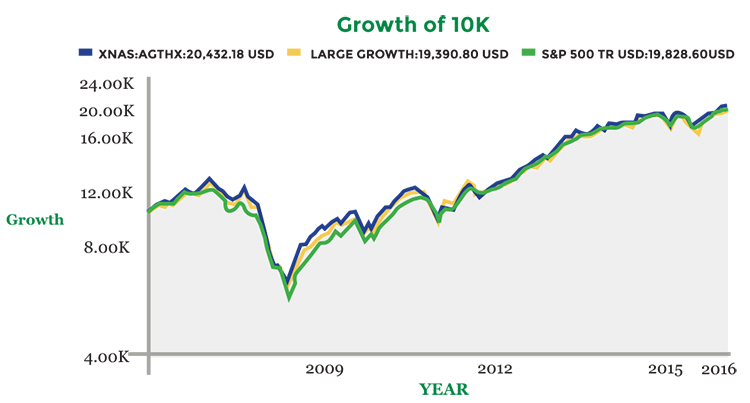 I used the S&P 500 Index in green to represent Dave Ramsey's Mutual Fund recommendation. 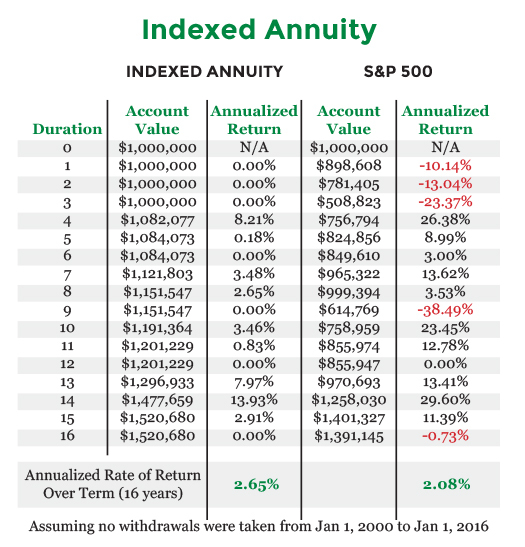 For my Indexed Annuity representative, I chose our most popular annuity issued at the inception of this analysis which began January 1, 2000. This Annuity gave 100% Index Participation on the S&P 500 Index, which means when the Index was up 10%, the investor earned 10%. It also had a spread, which is similar to a fee, but is only charged when there are gains. The spread was 1.5% on average. Some years the spread was 0%, some were as high as 3%. I concluded that 1.5% was the fairest estimate of the average. The Indexed Annuity had the Annual Reset feature, which meant each year the calculations reset and started a new calculating period. This effectually wiped the slate clean on the contract anniversary starting a new term until the next anniversary. The worst performance the annuitant could experience in any given year was 0%. We used to say, "Zero is your Hero" and as you can imagine, it sure was from 2000 - 2003 and 2008. The final qualifier was that our Indexed Annuity used the "Daily Averaging Calculating Method." This meant the company added up all of the ending values of every trading day throughout the year and then divided that from the number of trading days to get the average ending value. Using averaging smoothes out choppy markets but can limit returns in up-trending years. This particular annuity had No Maximum Earnings Cap. I pay for software that allows me to input the various Indexing stipulations and calculating qualifiers such as Caps, Participation Rates, Spreads and Averaging. As you can see, the end result was quite similar. Neither were that terrific; certainly nowhere near the 7.5% Dave Ramsey was advising. What Happens When We Take Withdrawals? Remember, the caller needed the income to live off of. The annuity was guaranteed to pay $38,000 for the rest of her life. Dave told her the mutual funds could pay her $60,000 and not touch the principal. The difference is absolutely astonishing when you include withdrawals! I encourage you to run through this exercise on your own. Take $1,000,000 and start pulling withdrawals to simulate retirement income. Go to yahoo.finance or Morningstar or Fidelity online. Pull the data from your mutual fund or an index and start taking withdrawals. Try to match Dave's 7.5% and see how long it lasts. It'll work fantastically if you start in 1990. But look out if you started in 2000! Now I'm sure after calling Dave, the caller phoned her advisor the next day and fired him. She's probably now sitting in some nice Large Cap Equity Funds telling her friends how now she's getting $60,000 per year and won't even have to touch her principal. Perhaps Dave simply thinks we are living in the 1990's with a GDP growth rate of 4% and not 1%. Or maybe he knows about some new industry that's going to push the Dow to 40,000 by in 10 years (which is what it would need to be to keep her $60,000). All I know is that if his caller had put $1,000,000 into a Large Cap Mutual Fund that performed like the S&P 500 and took her $60,000, she would have run out of money in 13 years. Hopefully her siblings were wiser and she can move in with them. Whereas, our Indexed Annuity, thanks to not having to take any losses, still had $419,492 in 2012 and $305,303 at the end of 2015. The secret is in the Sequence of Returns. In our comparison with no withdrawals taken there was little difference, but when we added withdrawals to the equation, the Indexed Annuity was far superior. As a Financial Planner, I get to run thousands of assumptive returns to test how a portfolio will hold up. The key in retirement is not to take big losses in the beginning. If we switched the returns in order and had the 2000 - 2003 at the end, the S&P 500 would have held up fine. Start retirement in 1995 and you're in tall cotton. Start in 2000, and you better start being nice to your kids and hope they have a guest room! 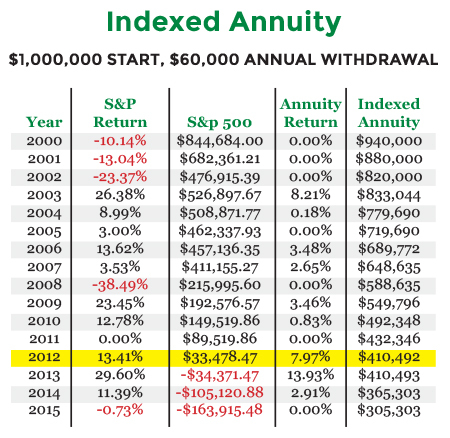 OK, maybe I cherry picked a great time to compare the Annuity. It's absolutely true that not having to take any losses in the downturn gave me and my clients a huge advantage, especially when we analyze a choppy whipsawing market like the last 16 years. Had I picked the start of the 90's, my annuities likely would have been left in the dust. But that's all in the past. I have to write a disclaimer that past performance is not indicative of future results. So what do we do now? We have absolutely no idea what the next 16 year chart will look like. What affect on the market will Trump or Hillary make? What if Deutsche Bank collapses, will it trigger another Lehman Brother's Fall of 2007 debacle? What if experts like Peter Schiff are correct, and that the Dow Jones Industrial Average will soon be the same value as one ounce of Gold? On the other hand, will all the free money stimulus finally ignite a powder keg of inflation sending equity values into the stratosphere? Look at this chart of the S&P 500 over the last 20 years from October 1996 to today. My daughter, Juliette, is learning about patterns in preschool. I had her guess and draw where she thought the line would go next. Where do you think she continued? I can promise it wasn't straight up. It's dangerous and uneducated to broad stroke an entire group of anything as being all good or all bad. Not all Whole Life Insurance is bad for everyone. Not all Mutual Funds are good, all the time, and neither are all Annuities. Consider using the Annuity piece of your financial puzzle as a safe money substitute for your other investments such as bonds or CD's. With overall interest rates near record lows, what will happen to the value of your bonds and bond funds when interest rates finally start to rise? Then again, what will happen to your equities if and when the market finally corrects? During this time of incredible uncertainty, I believe the prudent move is to take some chips off the table. Cash them in to the safe harbor of guaranteed investment that will both crash proof the downside of your portfolio, and maintain the upside exposure to keep pace with inflation. Please call me at 1-888-892-1102 so we determine whether or not an annuity makes sense for a portion of your portfolio. Here's to a Safe Secure and Prosperous Retirement!